Many are curious about how the installation process will work, once you’ve contracted with CitiQuiet to install soundproof windows. As the original creator and installer of soundproof windows, CitiQuiet takes their process very seriously and methodically. Our combined experience, dedication to customer service, and seamless installation process are just a few highlights of what you can expect when dealing with CitiQuiet’s NYC team of professionals. Now let’s get to it. Below is a quick snapshot of what you can expect and how CitiQuiet installs our soundproof windows. Once you’ve made the decision to get soundproof windows installed, give us a call at our NYC location at 212-874-5362 or submit a quick contact form on our website. 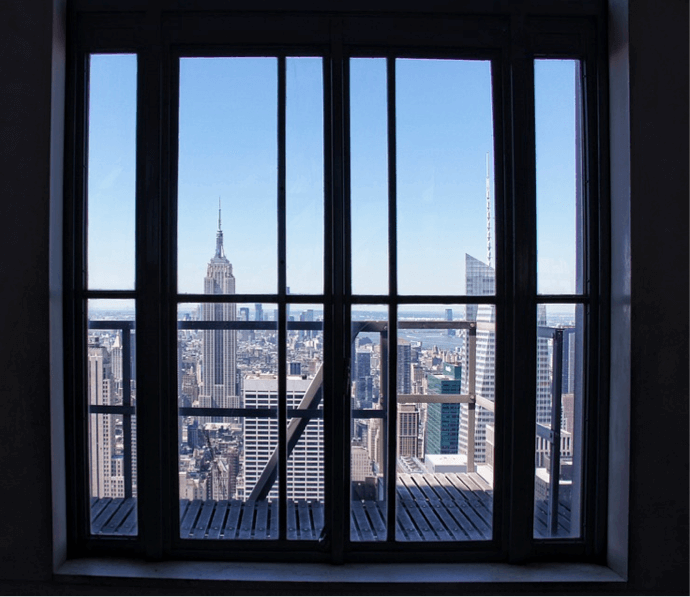 Once CitiQuiet has received your window dimensions and spoken with you on details of installation, we will send out one of our experts to come visit your NYC home, office, or commercial building to assess and professionally measure the windows. We take a look at the type, size, and overall structure of the windows to create a custom quote that will be given to you on the spot. We will also let you know when the target installation date is so that we can schedule a time that works best for you and your schedule to install. After our CitiQuiet professional has visited your window and provided you with a quote, a custom window will be cut in our NYC factory to fit your window specifications and needs. We take pride in the fact that our soundproof window glass is made and shipped from our NYC factory and installed by our CitiQuiet team. After our team has met with you and gotten your custom soundproof window glass cut, we will schedule a convenient time to come and install your soundproof windows. Our team is bonded, insured, and highly trained in our strict installation process. CitiQuiet’s team comes to your home and instantly wears protective booties over our shoes to ensure no dirt is tracked into your home, office, or building. We come with the custom cut soundproof window ready for install. As our team comes into your New York home, we remove any window coverings or accessories. CitiQuiet’s team installs a laminated interior single-paned window directly in front of your existing window. The added CitiQuiet window then creates a pocket of air in between each window (CitiQuiet’s and your existing), serving as a sound barrier to 95% of outside noise. While other companies require the full removal of your existing window, CitiQuiet does not tamper or change your existing window structure even slightly. The best part of our installation? It’s quick, clean and easy. You’ll never have to clean up after us. In fact, we make a point to make your home cleaner than when we arrived. Since everything is pre-cut, there’s no construction, no mess, no dust— period. CitiQuiet windows are manufactured in our 100,000 square foot facility in Long Island, New York. Throughout the facility you will find lines of manufacturing with saws constantly cutting windows and orders being filled. Our highly trained team of professionals are constantly upholding the quality of our soundproof windows through intense dedication and training. Ninety percent of the staff has been with CitiQuiet for over 20 years. With such a skilled staff, the main focus is on the end product, our consumers, and understanding the goal of bringing peace and quiet into people’s homes and offices. Our windows can block up to 95% of noise and reduce drafts and dirt. CitiQuiet Soundproof Windows is a vertically integrated company. We manufacture, we market, and we install. We take 100% ownership of the process and no one touches the product but an employee or certified installation technician. All of our technicians are factory trained and trained in the field before installing the soundproof windows. CitiQuiet is a leader in the New York soundproof window industry. Our incredible product and dedicated staff are what keep CitiQuiet at the head of the pack. While there may be many imitation products, there is only one true CitiQuiet soundproof window. Contact us today for a quote or to ask any questions about our system. For more information on our window styles, below are details by type that we offer at CitiQuiet.